Dr. Jane Goodall has been conducting pioneering research on chimpanzees in Tanzania for more than 55 years. 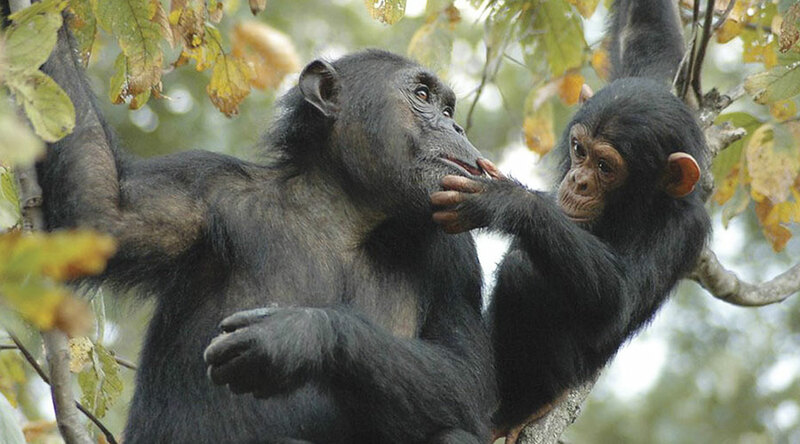 The Jane Goodall Institute (JGI) continues Dr. Goodall’s research to this day, collecting data on chimpanzee behavior in Gombe National Park via the Gombe Stream Research Center. 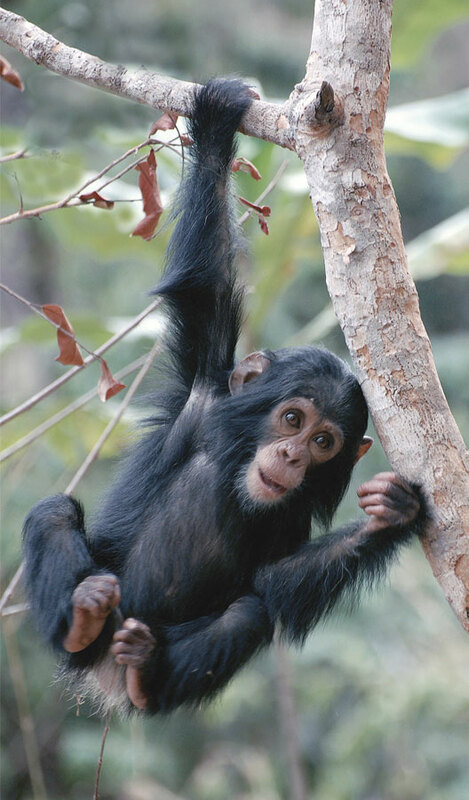 JGI’s research partners—including Duke University, the University of Minnesota, Arizona State University, Franklin & Marshall College, and George Washington University—digitize, manage, and analyze the information to advance our knowledge of chimpanzees, basic science, and conservation. “There’s no way we can even attempt to save these precious Gombe chimpanzees unless we could improve the lives of the people living around that last little oasis of forest,” she recalled recently in an interview with National Public Radio (NPR). With all these efforts combined, many of the woodlands outside Gombe are coming back. And local communities themselves are managing the forest’s natural regeneration. To halt the rapid deterioration of natural resources, JGI began working with the local communities around Gombe in 1994 through the Lake Tanganyika Catchment Reforestation and Education (TACARE) project. TACARE sought the local community’s support from the beginning by incorporating clean water, agriculture, health, social infrastructure, and community development elements into its conservation programs. 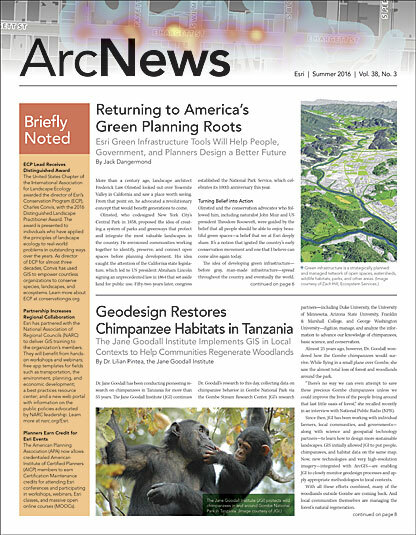 In 2000, JGI began utilizing geospatial technologies to put everything—people, chimpanzees, and habitats—on one map. 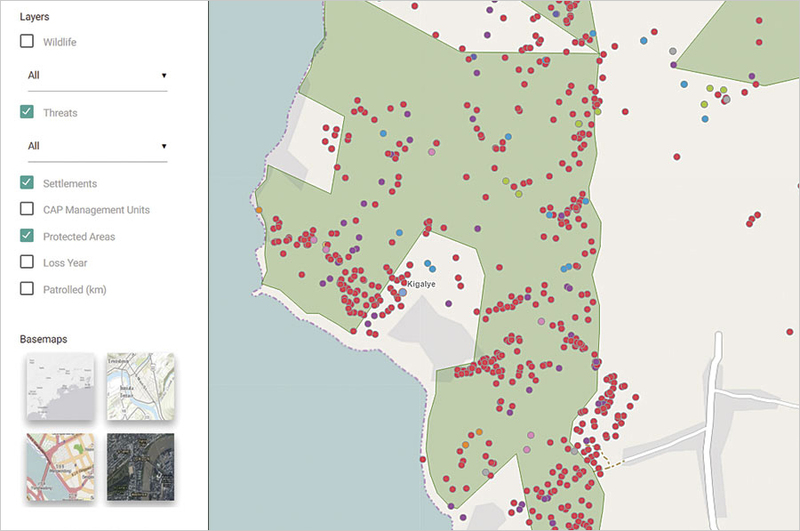 The organization and its partners integrated more than 400,000 Gombe chimpanzee observations into a geodatabase using Esri’s ArcInfo software. At the same time, analysis of Landsat multispectral scanner (MSS), Landsat Enhanced Thematic Mapper Plus (ETM+), and SPOT satellite images confirmed that while forest cover improved inside Gombe between 1972 and 2003, more than 64 percent of forests and woodlands in core chimpanzee range outside the park had been lost. 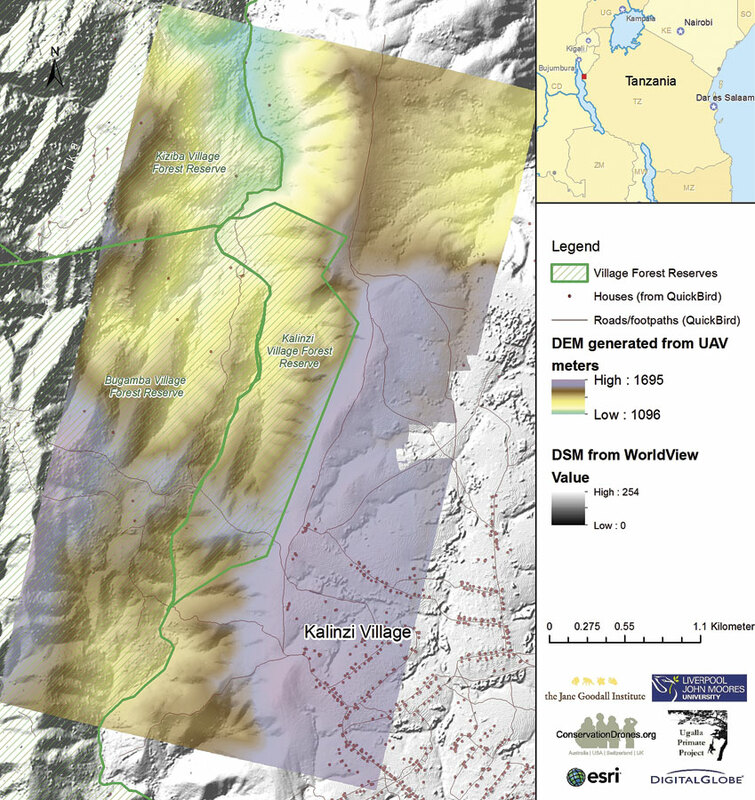 JGI’s community-centered approach entered a new era in 2002 when the first one-meter, high-resolution IKONOS imagery of the larger Gombe ecosystem became available. For the first time, JGI staff and partners could look at one image and see trees that chimpanzees use alongside the farms and other lands that are key to people’s livelihoods. This enabled everyone—from villagers and government decision-makers to scientists and conservation practitioners—to gain a common understanding of the landscape, agree on what its major threats are, and work together to save Gombe and the surrounding forests. In 2005, JGI started incorporating geodesign and conservation action planning (CAP) into its Gombe conservation initiatives. These complementary methodologies bring together people, indigenous understanding, scientific expertise, data, and technology to develop better conservation strategies that are informed by a landscape’s physical, biological, social, political, and economic fabric. For instance, one of JGI’s strategies is to advocate that local communities plant trees and set up nurseries to source their firewood and timber. But geospatial data analyzed using the CAP process revealed that much of the deforestation that threatened chimpanzee habitats outside Gombe was happening because local communities were clearing these woodlands to make land available for farming and scattered housing—not to collect firewood. Thus, while planting trees and establishing nurseries could support people’s livelihoods, these actions did not remove the most direct threats to the forested areas used by chimpanzees, nor did they address the conservation issue entirely. So JGI facilitated the development of participatory village land-use plans and community-managed village forest reserves. The aim was to assure land tenure and define appropriate land uses that would both satisfy local residents’ rural development goals and protect chimpanzee habitats outside Gombe. Conservation organizations need to continually measure their results to keep their world views in check and be able to adapt and fine-tune their strategies. This also helps them maintain focus on their main conservation objectives, which in JGI’s case is protecting wild chimpanzees and their habitats. The geodesign process leverages geospatial technologies to directly integrate evaluation into landscape design workflows. Recently, Esri partner DigitalGlobe acquired very high-resolution imagery of what is now known as the Greater Gombe Ecosystem—the area that covers Gombe and adjacent village lands. 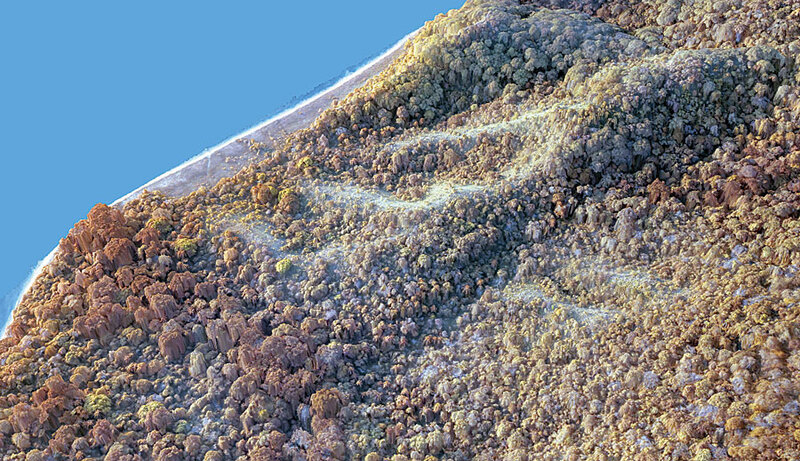 With Esri’s help, JGI integrated this and other imagery provided by satellite and unmanned aerial vehicle (UAV) sensors with the ArcGIS platform to support its geodesign process for the area. 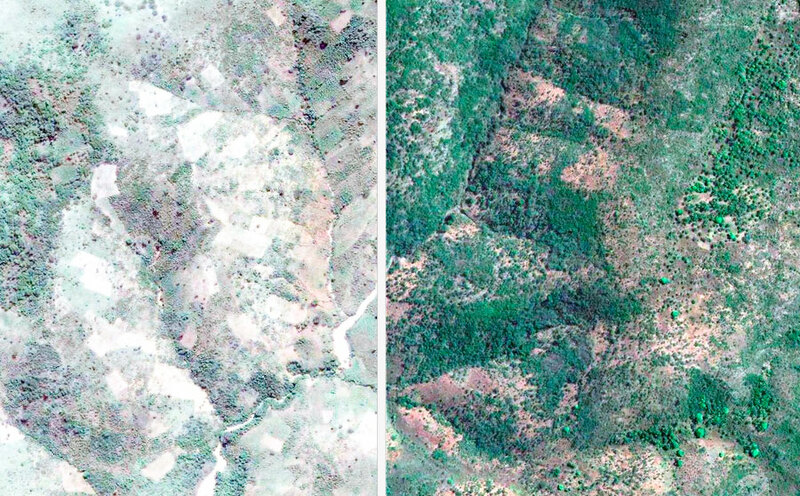 Using 2005 and 2014 DigitalGlobe satellite data in ArcGIS Online, for example, JGI staff can visualize—and share with the world—that Kigalye Village has successfully implemented a land-use plan in its village forest reserve that minimizes farming, logging, and fires and allows Miombo woodlands (which are the most extensive habitats available to Tanzania’s chimpanzees) to regenerate naturally. Dr. Lilian Pintea has spent more than 20 years applying remote sensing and GIS to the task of protecting chimpanzees and their vanishing habitats in Africa. As vice president of conservation science at the Jane Goodall Institute, he shapes the organization’s agenda for applied research to innovate and discover new solutions to maximize the impact of all JGI programs in protecting the environment—especially chimpanzees and their habitats. For more information, email Dr. Pintea.